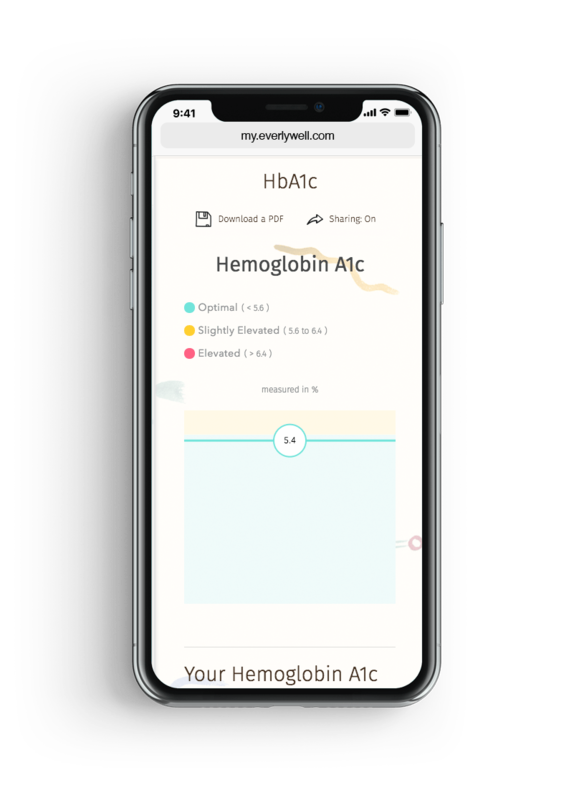 The home collection Hemoglobin A1C test is an easy way to evaluate how well you have been maintaining your blood sugar levels for the past 90 days and can help you determine if dietary changes may be needed. 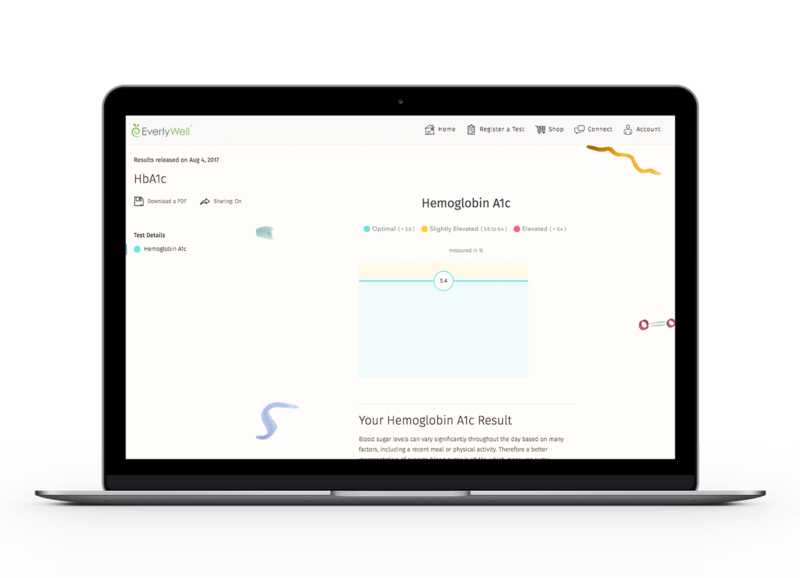 HbA1c is a measurement of the amount of glucose bound to the heme found in red blood cells. This measurement let's you know how well your sugar levels have been controlled over the past 90 days. What is the HbA1c Panel? Our HbA1c test is a blood spot sample test that measures your average blood glucose level (blood sugar) over the past 3 months. Red blood cells have a lifespan of about 3 months but are constantly renewing within the body. Glucose attaches itself to hemoglobin, which is a protein found in red blood cells that carry oxygen throughout the body. 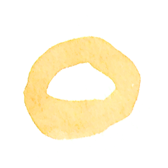 Our HbA1c test measures this glucose to give you an overall look at your blood sugar level over a 3 month period. Blood sugar levels tested as a single glucose measurement, like with home glucose monitoring, can vary significantly throughout the day based on many factors, including a recent meal or physical activity. 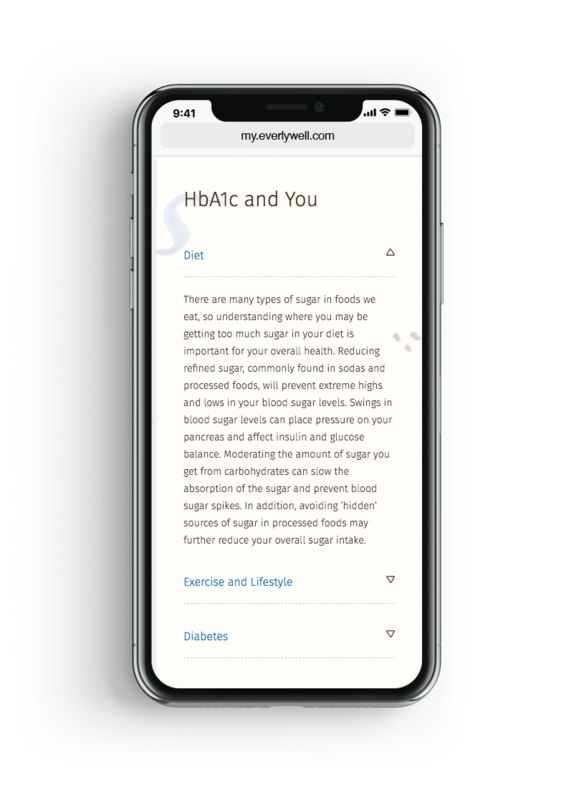 A better representation of average blood sugar levels is HbA1c. EverlyWell can provide suggestions for lifestyle changes to jumpstart a healthier lifestyle. 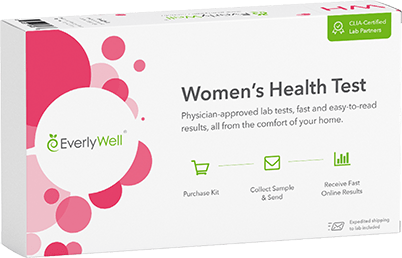 As always, we encourage you to share your results with your doctor, who can provide more specific guidance on lifestyle changes. 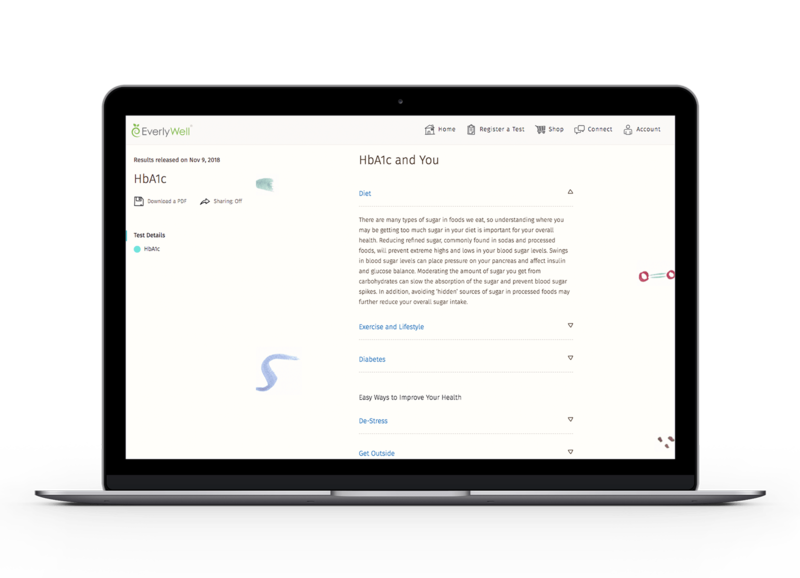 What does HbA1c stand for? Why test HbA1c and not just the sugar level? What is the benefit of monitoring my HbA1c multiple times? 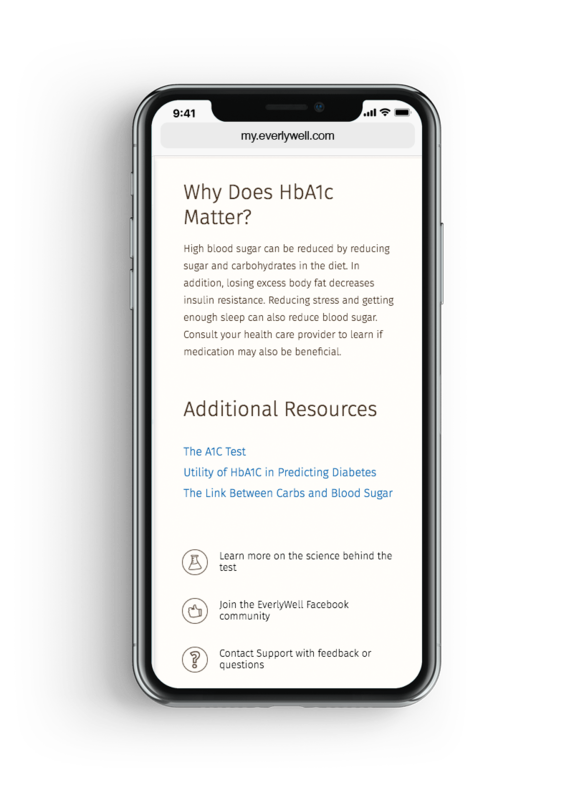 How does HbA1c correlate to average sugar levels? How does the HbA1c test differ from a fasting glucose test conducted in a typical blood panel?